New Tech: Do You Have New Employees That Need to Get Up to Speed? Siemens Offers Custom Training Programs to Help! Do You Have New Employees That Need to Get Up to Speed? Siemens Offers Custom Training Programs to Help! If you have employees that need to get up to speed, Siemens can come in, assess your education needs, and provide your employees with custom training. Siemens technical learning services provides students with the critical knowledge they need for their job directly from the equipment manufacturer. Professional instructors who have an in-depth understanding of your equipment, processes, and systems, conduct scheduled classes using simulation workstations at Siemens facilities, online, or on-site. The Siemens practice-based learning approach with associated exercises makes it possible to gain theoretical knowledge reinforced with hands-on experience. Students simulate real-world situations to learn programming and troubleshooting techniques that will help them commission, maintain, and operate equipment with greater efficiency. Siemens SITRAIN learning programs offer a variety of delivery methods designed to meet every training need. C&E will partner with Siemens to get you the training needed for your employees. 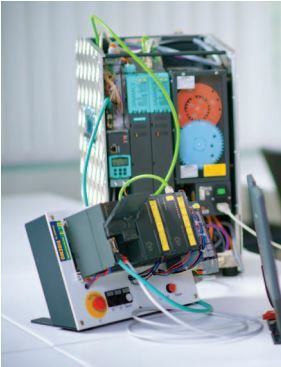 CLICK HERE to view the Siemens training catalog and to get more information on what's offered.